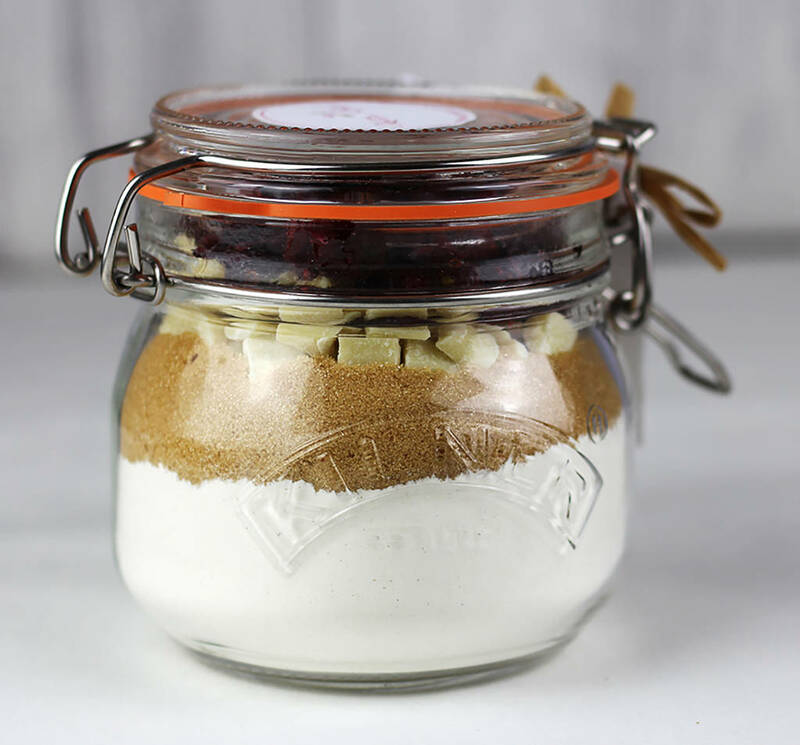 A delicious cookie mix packed full of delicious White Belgian Chocolate chunks and cranberries, beautifully layered in a glass kilner jar. 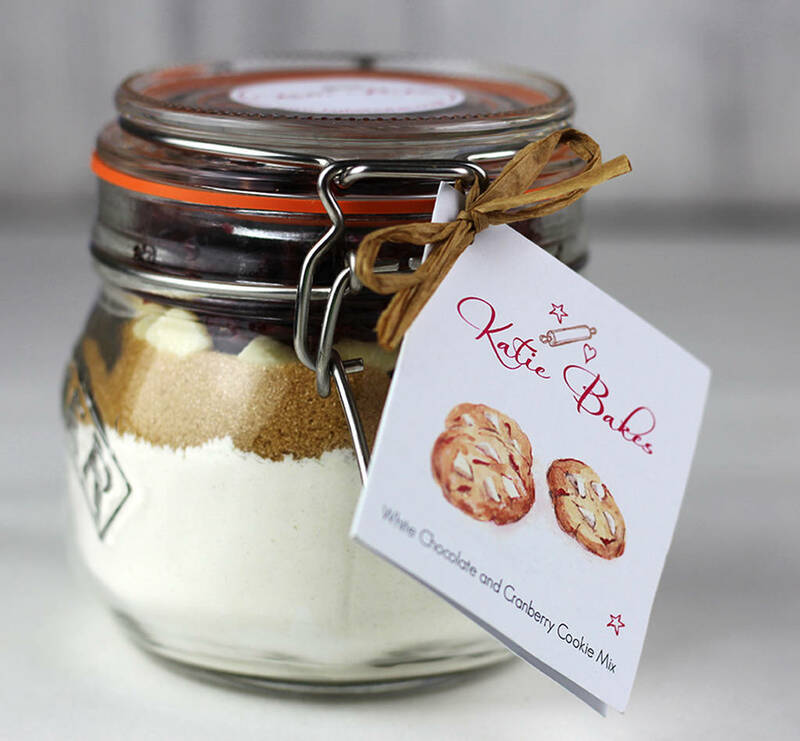 This White Chocolate and Cranberry Cookie Mix is beautifully packaged in an authentic glass Kilner jar. Perfect for both adults and children, who loves to bake or for new bakers, to give them the confidence to produce something delicious. The foolproof mix just requires the addition of 90g softened butter and one egg to make approximately 18-20 scrumptious cookies. Shelf life approx six months. 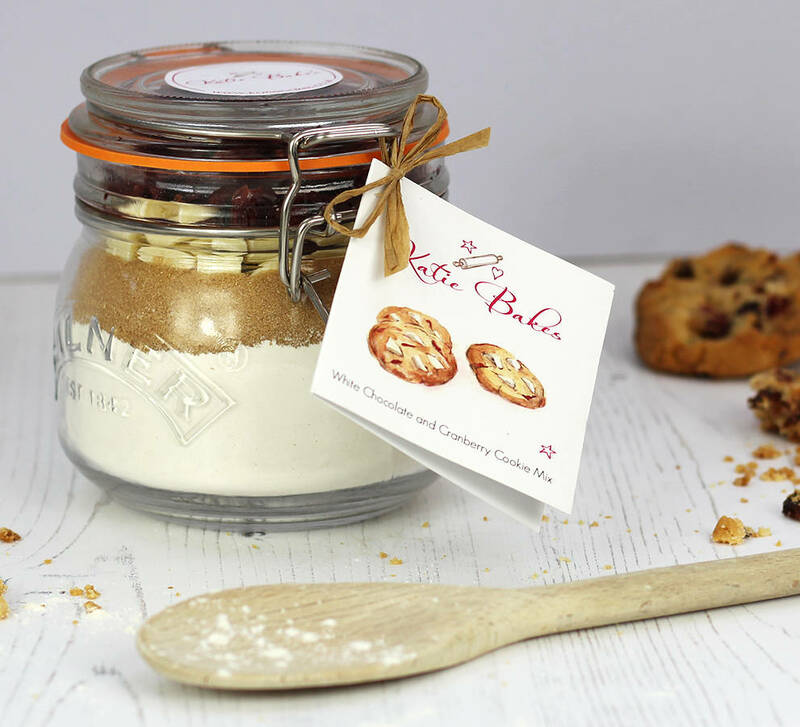 All our mixes are made with the finest quality ingredients including English flour and contain no artificial colours or flavourings, just like baking at home from scratch but without the fuss. 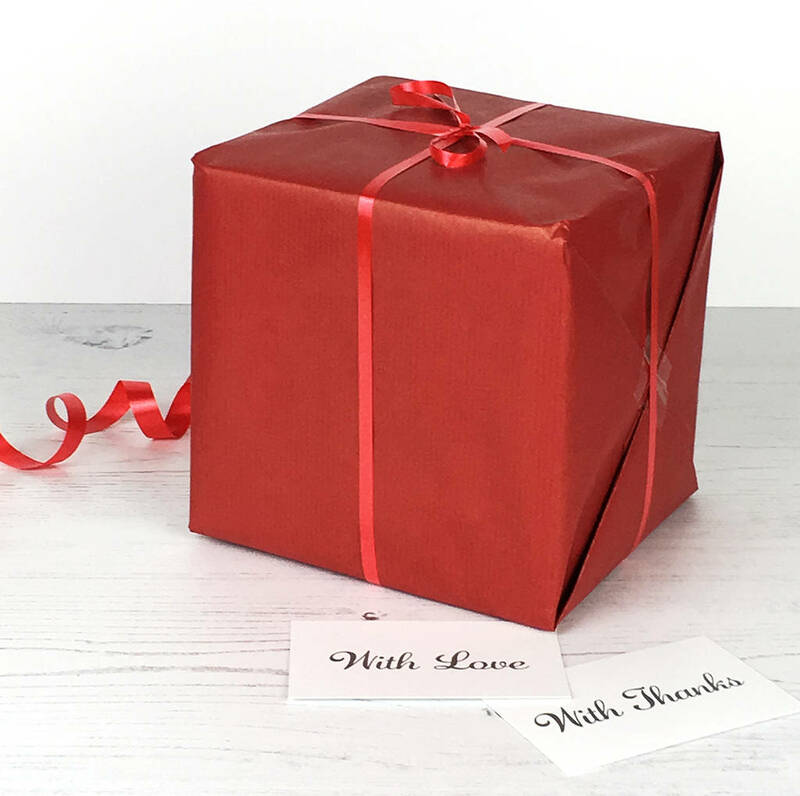 Why not choose one of our gift tags with a personalised message, at no additional cost. The mix is contained within a 0.5l authentic glass Kilner jar. Ingredients: flour, sugar, White Chocolate, Dried Cranberries and baking powder. Jar: H 11.5cm x W 12 cm.